Recently I have had some correspondence from readers who were interested in starting to brew wine at home. They were interested to know how they should go about doing this. My instant reaction was to reply that I mainly concentrated on home beer brewing rather than wine. But as this is a general home brew site I thought it would be worth expanding the content to include home brew wine. Let me state that I am no wine making expert, first and foremost I am a beer brewer. However, I have made a number of home brew wine kits over the years and have to say that generally the results have been far above my expectations. I have tried many of the kits from the cheapest to the more expensive single grape variety kits and found with all of them that, as long as you keep things simple and are scrupulous with your cleaning and hygiene then, the results are superb. Therefore my first port of call with brewing wine at home, as I am no wine making expert, is to write about home brew wine kits. Home brew wine kits are, like their beer equivalent, where most home wine makers will start. 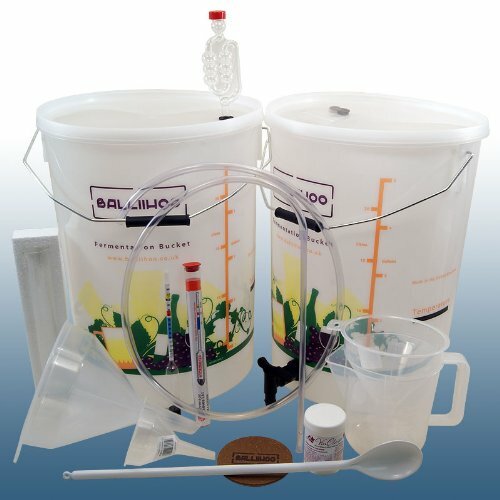 The reason home brew wine kits are so attractive to the novice wine maker is because they represent the easiest way of experimenting with home wine making without going the whole hog and investing in all the equipment. This makes them very cost effective as you will discover. An equipment starter kit is an essential purchase. 2 x 25 litre fermentation buckets with gromets. The buckets come fitted with LCD temperature strips to enable you to monitor the temperature of fermentation. One of the buckets is also fitted with a tap to allow easy transfer of wine to bottle. 1.25 m siphon tube with racking cane. 100 gram tube of steriliser. The only thing that the kit does not include, apart from the grape juice concentrate, is bottles. My recommendation for wine bottles is to either save bottles as you consume wine, ask a local restaurant or pub if they would let you have their empties or you can purchase new bottles. If you want to buy some bottles then we can recommend the home wine making pack of 24 green wine bottles with corks which will set you back £18.99 not including postage and packing . Once you have the equipment you can start to think about the grape juice concentrate from which your home brew wine is made. This as the name would suggest is a concentrated syrup of grape juice. The choice and price range can be quite bewildering but the main difference between the kits is the actual amount of grape juice concentrate supplied the percentage concentration of grape juice in the kit and also whether the grape variety is specified. So lets take a look at some of the kits. 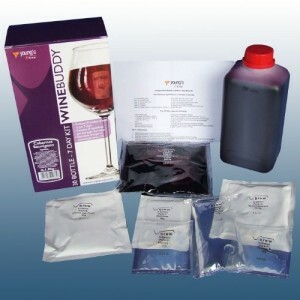 The Youngs Wine Buddy home brew wine kits come with all you need to make 6 or 30 bottles of great tasting wine. Youngs are a well respected name in the home brew world. 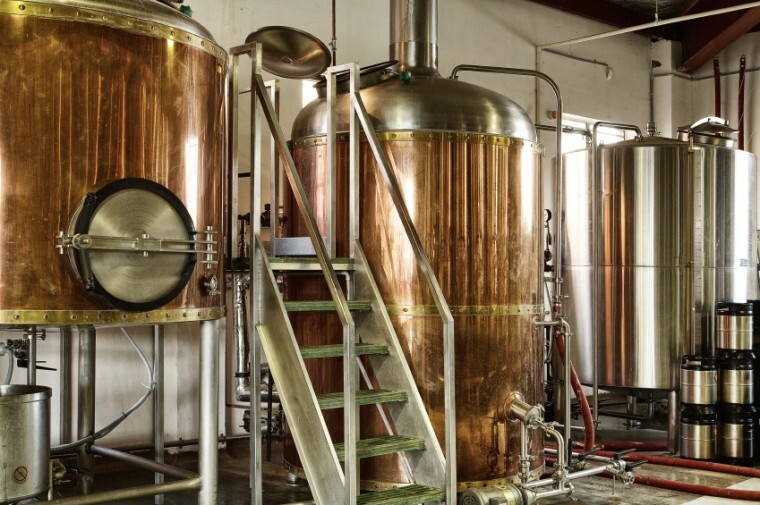 Founded in 1968 by Robert Young the company have grown to becoming one of the biggest home brew wholesalers in the UK. As wholesalers Youngs don’t produce their own kits, they are contract produced for Youngs. However, all the products that bear the Youngs name have to be made to their exceedingly high standards. This is certainly true for their home brew wine kits. For novice wine makers the Youngs Wine Buddy kits are fantastic value for money and very good quality too. They are at the cheaper end of the market as they require the addition of brewing or table sugar. The use of sugar means that the kit producer does not have to supply as much grape concentrate making the kit cheaper to manufacture. You can pick up Wine Buddy 30 Bottle Home Brew Wine Kits through Amazon for as little as £21. 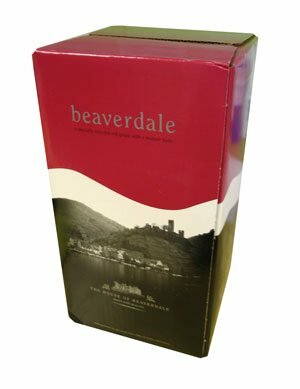 Although more expensive the House of Beaverdale Home Brew Wine kits do not require any brewing sugar so make outstanding wines. Once again you pick up House of Beaverdale 30 bottle home brew wine kits from Amazon for as little as £45. Home brew wine kits are a great way for you to get started brewing excellent quality wine at a fantastic price. Even for the more expensive home brew wine kits at around £1.50 for a bottle of wine that represents outstanding value for money. So get started now and enjoy a fantastic hobby which allows you to save money. Oh yes and the next time friends ask you where you got the amazing wine you can proudly state that you made it!